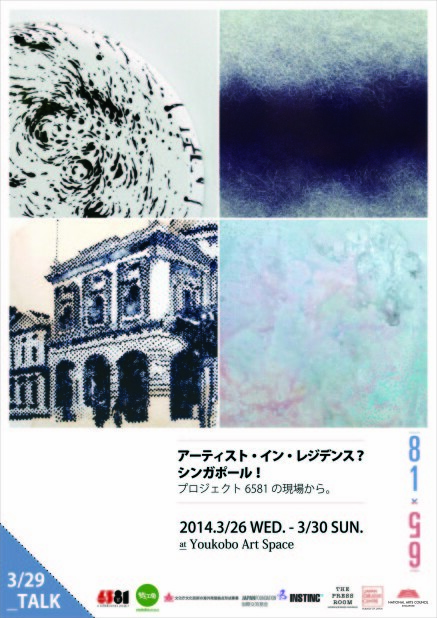 My works and documents of residency program will be exhibited at a group show Artist-In-Residence? Singapore! – from the scene of Project 6581., Youkobo Art Space in Nishiogikubo, Tokyo. There will also be an open discussion about Art and Artist-In-Residence in Southeast Asia. Please drop around if you are passing by. Within the context of the arts, the specifics of identity and difference have been the focus of many artists, curators, critics, and historians. Recent years have witnessed the emergence of a global art produced by an international band of cultural nomads who travel widely to create and exhibit their work. This artistic exchange intends to respond to where do artists position themselves and their work between the poles of the global and the local. This exhibition presents the work produce by Kaoru Murakami, Aya Murakami, Chihiro Kabata and Yuri Kabata, during their participation in this project. What did they gain their stay in this multi-cultural land of Singapore, and what thoughts did their experiences give rise to? The artists speak of this though their works, as well though an open discussion to be held on 29th March. 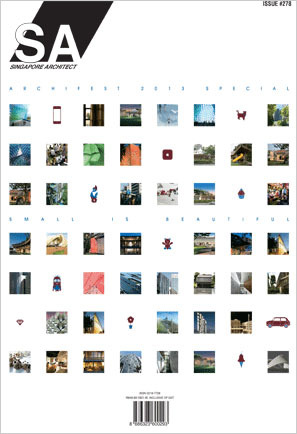 My artwork and interview appeared in an architect magazine, SA – Singapore Architect. I took part in the interview during my stay in INSTINC, Singapore last summer. 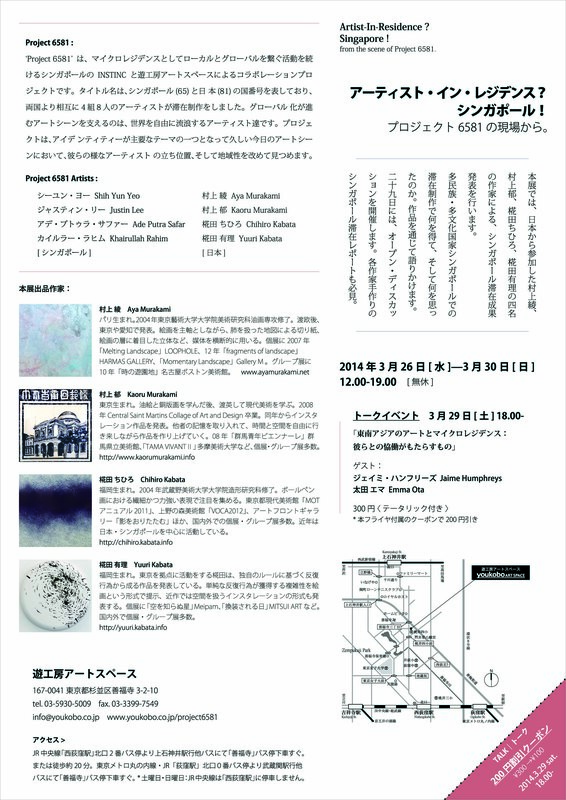 I am participating in a group show at Tokyo Metropolitan Senior High School of Fine Arts, Performing Arts and Classical Music in Shinjuku, Tokyo. Please drop around if you are passing by. 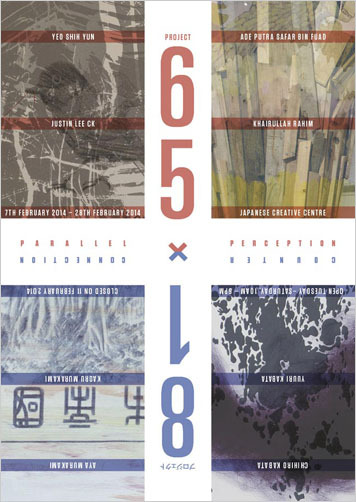 From this summer, I am participating in the exchange program PROJECT 6581 between two residencies INSTINC [Singapore] and Youkobo Art Space [Tokyo]. As part of the project, I have done research, created artworks and had an exhibition in Singapore, this August. 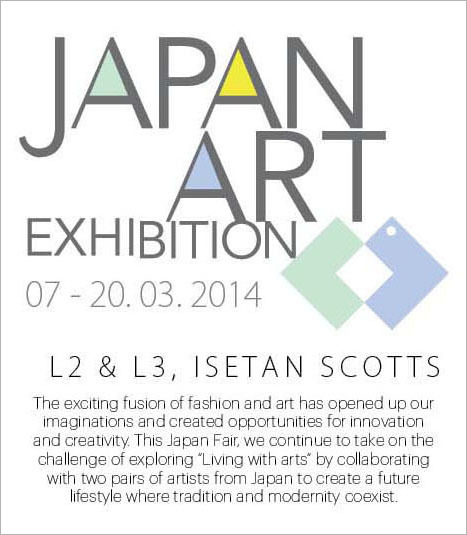 Next year, all of project members are going to take part in the group exhibition at JCC – Japan Creative Centre in Singapore. For more information, please visit the following link. The art book Unknown – Artists in the Post-3/11 World is available for sale at the following shops. It includes documents of the exhibition Unknown No.1~3 + extra such as images of artworks, installation views, reviews and interviews. My work will be shown at the exhibition by contemporary art collectors’ society “One Piece Club”. Please drop around if you are passing by. 6-11-14 Soto-Kanda Chiyoda-ku Tokyo, Japan.